The costs of recovering objects from underwater sites is very high. As Andrew Lambert, a maritime historian says, “If you want to stand in a cold shower tearing up £50 notes, go shipwreck hunting . . . Most shipwrecks are rotting away, or carrying dull things—all the romance has been taken out of it.” Those working for Odyssey Marine may feel the same way this week. The company has had its motion denied; the motion asked to stay last year’s decision in the 11th Circuit Federal Court of Appeals in Atlanta this week. This means the thousands of silver and gold coins the company spirited up from the ocean floor in the North Atlantic, and flown to Florida—will now finally reach Spain. The company may decide to appeal the case to the United States Supreme Court, which would be an expensive and risky undertaking. So for now at least, Spain has prevailed. As the embedded video below reports, the coins may finally reach their ultimate destination—Spain—over 200 years after they first began their journey. 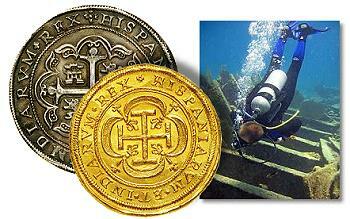 The coins were minted in Peru and were sent around South America, before their vessel wrecked in the North Atlantic. The Spanish culture minister states in the video embedded below the jump that Spain is willing to return some of the coins to South America, which is the origin of many of those objects. Odyssey Marine will not be going away any time soon however. Odyssey has it seems carefully timed an announcement that it reached an agreement with the UK Ministry of Defence and the Department for Culture, Media and Sport that will provide for, as Odyssey’s press release puts it “financing, archaeological survey and excavation, conservation and exhibit of HMS Victory (1744) and artifacts from the shipwreck site”. So that site may provide objects, and Odyssey will receive “80% of the fair value” of most of the objects it may recover for the site. I’m not a marine archaeologist of course, and don’t know how well this agreement will preserve the archaeology of the site. On the one hand the wreck has been underwater for nearly two centuries, and the policy international legal instruments have taken is that that is the best place for them until they can be recovered. But on the other hand I’ve spoken to Odyssey employees that sites like this in the Atlantic are at risk due to commercial fishing, and other activities which disturb the site. And they have the pictures of scallop trawlers dragging through underwater sites. Yet is the answer to that destruction that we get these objects up quickly? Or should we mark these sites as marine preserves where commercial fishing cannot take place? If the net recovery of Odyssey Marine is consistently negative, what exactly is its treasure? Like Mel Fisher, these folks want to chase the dream of finding the big score, with the romance of searching the unknown, and the possibility of becoming really famous (at least among wreck divers) and of getting on TV a few times to smile for Mom. Unlike Mel Fisher, these guys ahve figured out how not to get ruined doing it: Every time they run out of money, they ask you to refill their coffers. And that’s the real treasure of Odyssey Marine — they are chasing a romantic dream and being paid a nice salary to do so at the expense of investors who are unfamiliar with the outlandishly poor outlook for salvage operations. Or as the New York Times breathlessly proclaims, this deal may be the ‘world’s richest shipwreck trove’. Perhaps, but not in the ways we might expect. Background on Odyssey Marine here. Al Goodman, U.S. court backs Spain over $500M sea treasure, CNN, February 2, 2012, http://www.cnn.com/2012/02/01/world/europe/spain-u-s–treasure-dispute/index.html (last visited Feb 3, 2012). Brooke Bowman, Shipwreck hunters stumble across mysterious find – CNN.com, CNN, January 30, 2012, http://www.cnn.com/2012/01/28/world/europe/swedish-shipwreck-hunters/index.html (last visited Feb 3, 2012). William J. 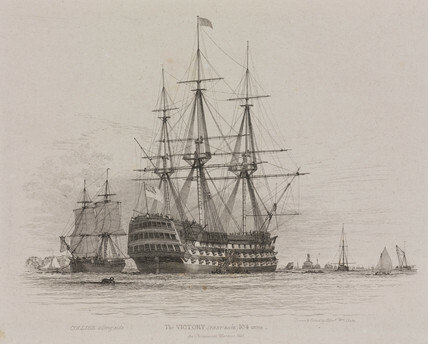 Broad, Deal to Salvage Britain’s Victory May Yield Richest Trove, The New York Times, February 1, 2012, http://www.nytimes.com/2012/02/02/science/wreck-of-british-ship-victory-may-yield-richest-trove.html (last visited Feb 3, 2012). Based on accurate historical records, there was never any secret army gold aboard the SS Central America.